A little while ago, the electronic control panel of the oven in my kitchen stopped working, about two hours into making the turkey for Thanksgiving dinner! The following week, I contacted the company that manufactured the oven, inquiring about a replacement part. 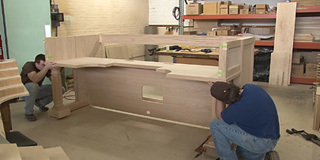 This company shall remain nameless but, GEnerally speaking, they are one of the largest U.S manufacturers of appliances. I was informed that, because of the oven's age, (more than 10 years) parts were no longer available. Having been steeped in Allen Organ culture for the last 25 years, I thought this response was as half-baked as my holiday bird. You see, at Allen, we still stock service parts for even our oldest instruments and we've been in business since before World War II. So, I think you'll understand why selecting the stories for this month's e-notes has been a "guilty pleasure". We hope you enjoy reading the accounts from satisfied Allen customers but our real reason for sharing these stories is that, frankly, we can't resist! To us, customer satisfaction and service support aren't just buzzwords, they are obsessions. And when our customers let us know how much they appreciate our efforts, it's impossible to keep it to ourselves. By the way, I've been stuffing our suggestion box with the idea that we should start manufacturing ovens, as well. This month we'll showcase a few recent letters from Allen organ owner's. These are just two of the many letters Allen received recently. 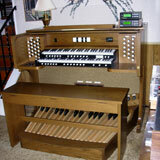 "Just wanted to say how pleased I am with my new Allen CF-15DK organ! 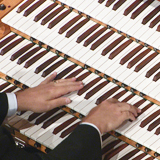 Having the multiple suites brings the versatility of the organ to a new level. The voicing sounds great; and the quality of the sounds are superb! The theatre sounds are amazing. The stops that are provided work well to make a huge ensemble sound. 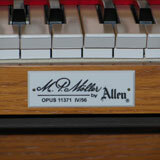 I have owned many Allen organs and the build quality is excellent and the quality of the components is top shelf. The robust power supply and a good quality amplifier makes this a great choice. I also have an Allen at the Church I play for. That organ sounds much bigger than it is! Kudos to the people that worked on the sounds! Thank you." 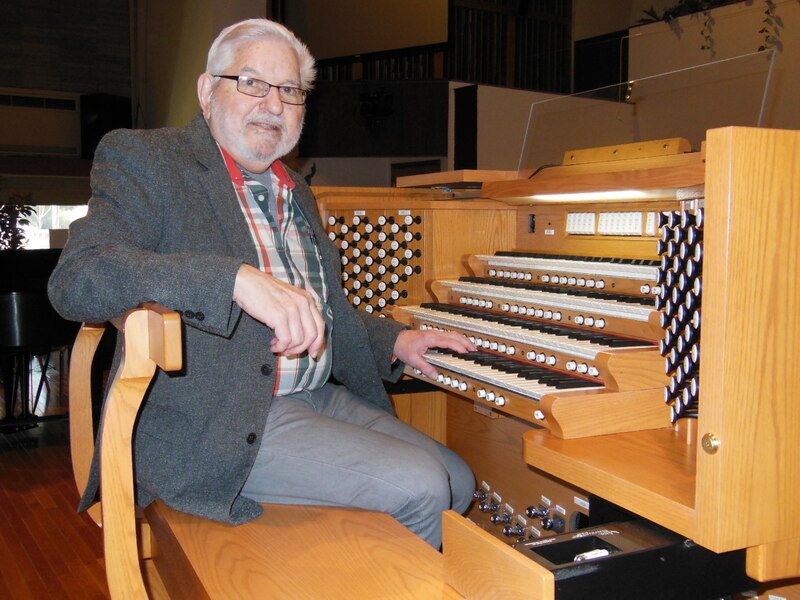 "I am the proud organist of a wonderful Allen organ in the church of Sakskøbing in Denmark. 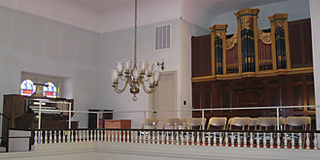 It was the first Allen to be installed in a Danish church and Steve Markowitz attended the inauguration, given by French virtuoso Naji Hakim. This instrument continues to inspire me to my organ compositions and has done so since the day it arrived. My latest piece written with this organ in mind is a huge work/project called 'In lumine Domini' (In the light of the Lord). It consists of 10 suites, each with 4 movements and a complete duration of nearly 3 and a half hours. The music is now recorded as MIDI-files, using my wonderful MIDI Assistant™ from Allen. Hopefully all 10 suites will be released later in 2014 on the leading organ music recording label in Denmark, Helikon Records. To further increase the range of the In lumine Domini-project, I have made a website about it in English. Thanks for your time and for having made the organ of my dreams!" 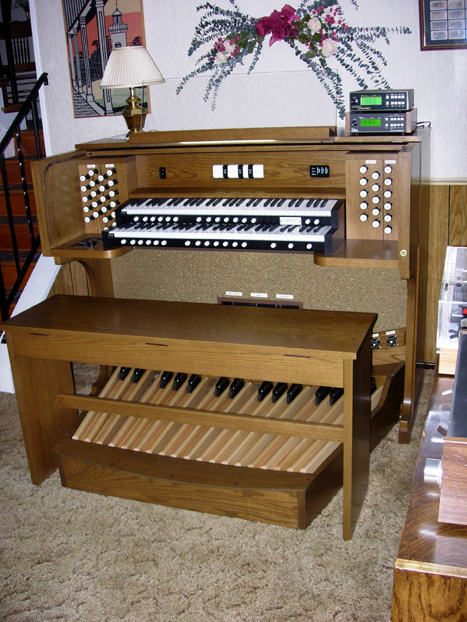 Click here to check out the sound of this organ and the comments from listeners! 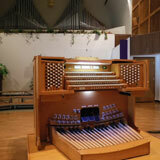 When the Möller pipe organ at Shiloh UCC in Dayton, Ohio needed a new console, the church turned to Allen. The stunning new four-manual console in oak finish has become the highlight of a complete sanctuary renovation and includes a complete MIDI system as well as four new Allen digital pedal ranks. The organ features Great, Swell, Choir and Pedal divisions arrayed across the front of the sanctuary, and an impressive Antiphonal division high above the rear balcony, including a commanding Trompette en Chamade. This organ remains one of Dayton's most impressive organs! 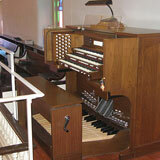 Shiloh's first organ was a Hammond electronic organ. 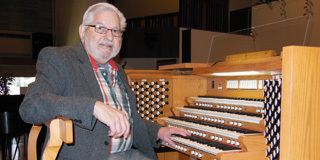 When that organ failed, the church chose Allen to replace it. In 1971, the church suffered a terrible fire. 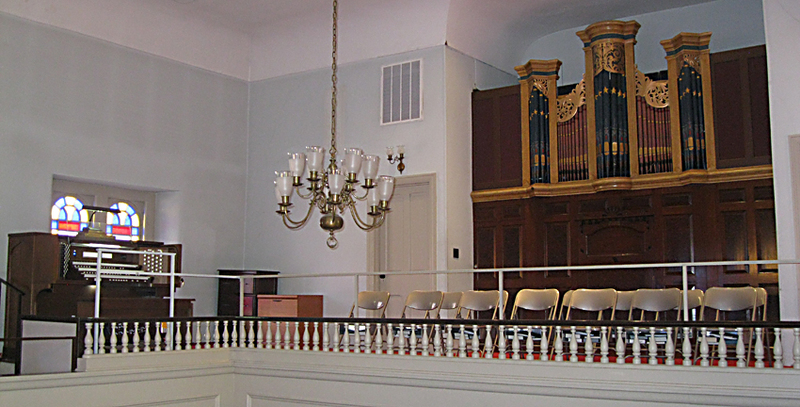 Afterward, the church had a Möller pipe organ built for the newly restored chancel area, and a sizable antiphonal organ division high in the back of the church. 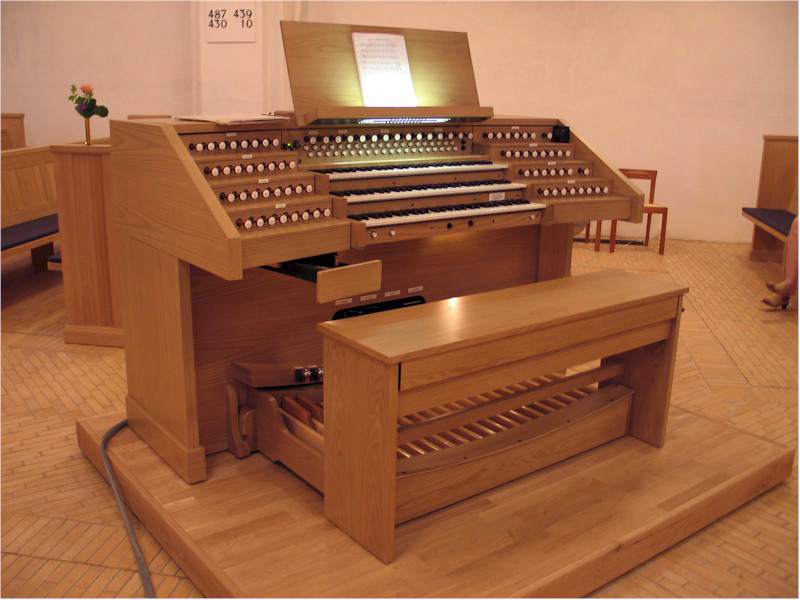 In recent years the Möller console suffered from aging and drying leather pneumatic actions, causing many stops to become unreliable and created a significant hissing sound whenever the organ was on. 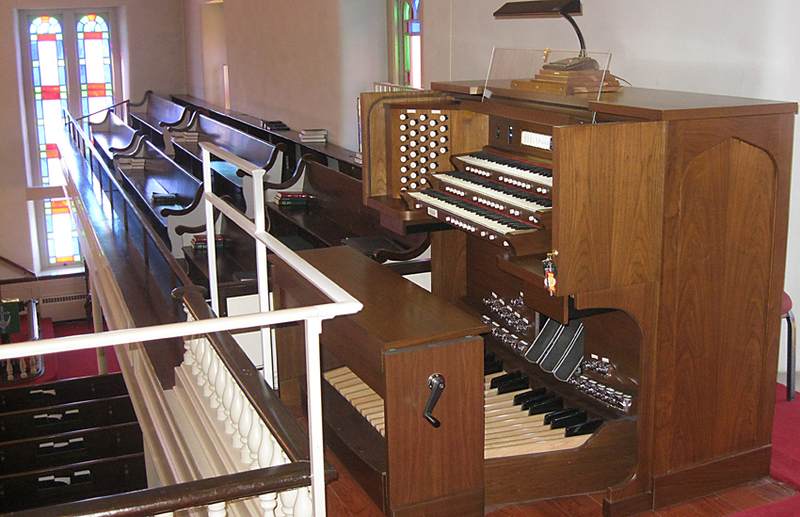 Organist Aaron Sheaffer desired a new console for the organ for quite some time, and after a surprise testamentary bequest from an admirer of the church's music program, the church selected the Allen replacement console, with digital pedal stop additions plus full MIDI capabilities. Aaron is known to make great use of the MIDI resources on a regular basis! Aaron tells the story, "A few weeks ago we were singing an anthem (with piano and cello). The cellist we had lined up moved away, so....I played cello on the organ. The choir said "can't we just sit down and listen to the accompaniment?" Many in the congregation, including a premier trumpeter told me he was looking around for the cello. He said it was probably the best digital voice he had ever heard. I love it." 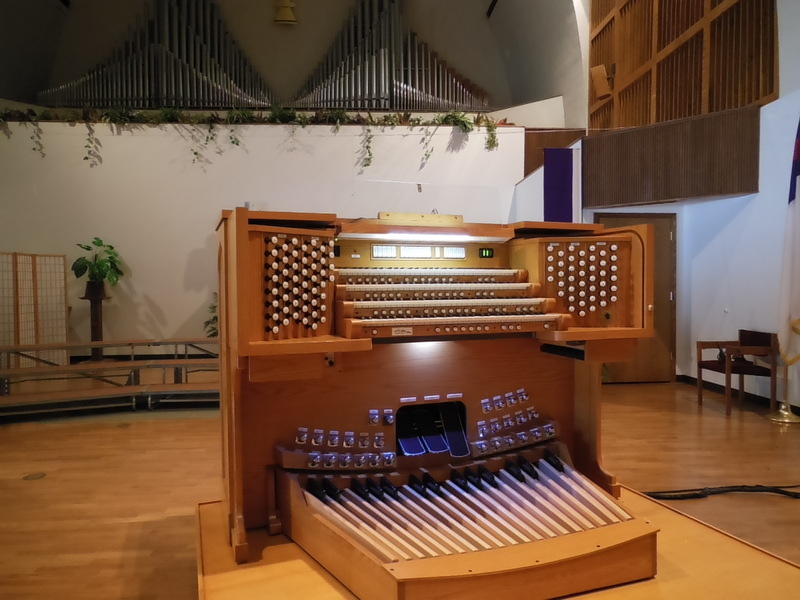 When St. Luke Evangelical Lutheran Church in Schaefferstown, PA needed a new organ, their Organ Committee went out to "listen" to various models, makes and sizes. They turned to Allen after falling in love with the rich sound of a Quantum™ Three-Manual 50 Stop digital organ. "We love our new Allen organ! I'm spending many hours practicing on this wonderful organ. 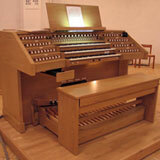 As a pipe organ tech for thirty years, I think the Allen organ is the best digital organ in the world. It is because of the sound and how they are made. They are a good investment for any church to make, and they last a long time. 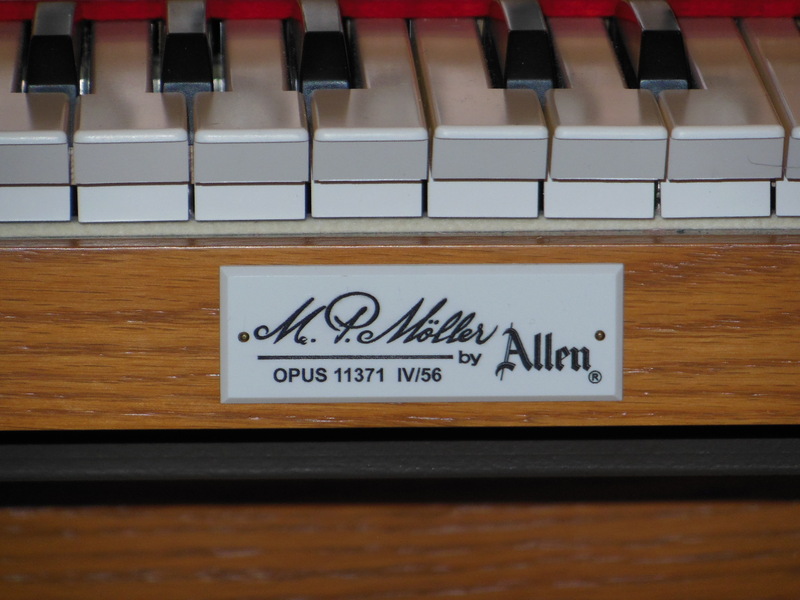 To everyone at the Allen Organ Company, keep up the good work, and I hope your company is around for many years to come." 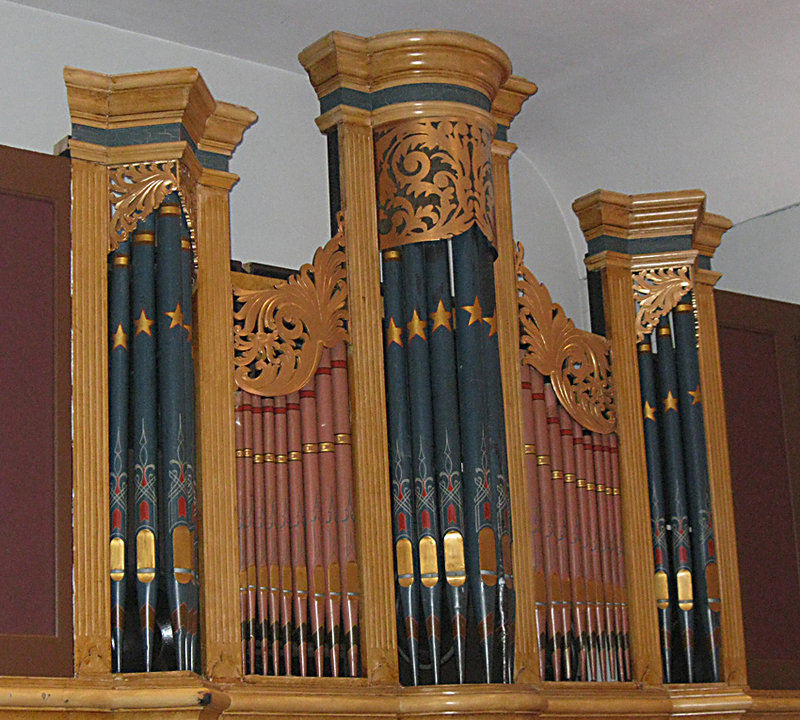 The pipe facade at St. Luke's dates back to 1810 when a one-manual, six stop organ was first installed by Thomas Dieffenbach. The pipes were "decorated" in 1885 by Thomas Dieffenbach. 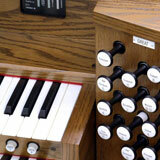 The new digital Allen is the church's fourth organ! There's a lot of talk today about customer loyalty, but we think most companies have got the concept backwards. At Allen, our focus is on the loyalty we pledge to our customers, rather than what we expect from them. That's why we have developed a service support system to help Allen owners enjoy their instruments for a long, long time. Watch our Unparalleled Support video! Religious Selection • Holy God, We Praise Thy Name; Hymn Tune "Te Deum"
Our Curved French Terrace Console project continues the build process. Thank you all for your votes last month and for your enthusiasm! The previous Organ of the Month winner was the Quantum™ Heritage™ French-terrace-style Linseed Oil Finish over Natural Walnut Two-Manual. 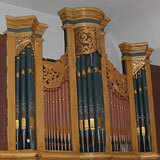 Click the link below to visit the AllenOrgan.com site for photos and more!